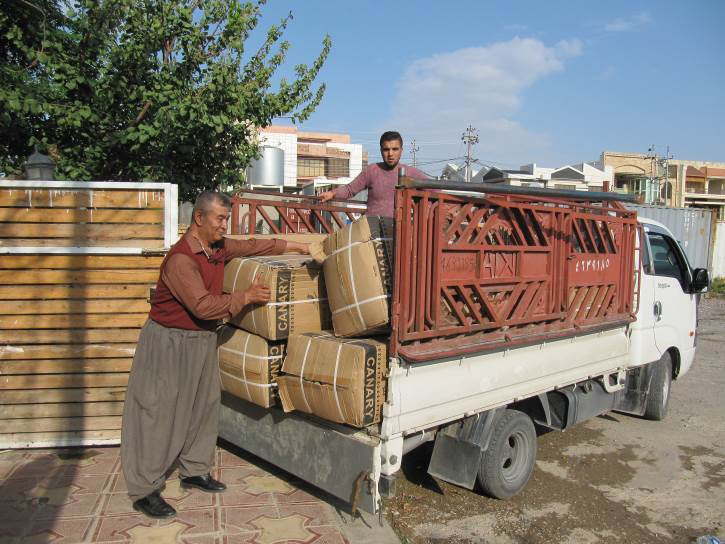 FH Canada has been teaming up with organizations, such as Entrust and the Barzani Charitable Foundation, to efficiently distribute dried soup mix and lifesaving medicines to improve the lives of many in Northern Iraq’s refugee camps. Recent UN figures state that as many as 13.5 million Syrians are in need of humanitarian assistance, while some 4.6 million are living as refugees. In light of such staggering numbers, it is clear that much work remains to be done, by Canadians and others in the world community, to help those whose lives have been severely disrupted by this crisis. Thanks to your support, Food for the Hungry (FH) is actively involved in ongoing projects that are improving the lives of Syrian refugees. In March 2011, what started as protests for the Syrian President to resign escalated into civil war, pitting ethnic groups, extremists, and other world powers against one another. In the past 5 years, more than 250,000 people have died as a result of the crisis. As of March 2016, 4.8 million Syrians have been internationally displaced. Turkey is the largest host with over 2.7 million registered refugees. 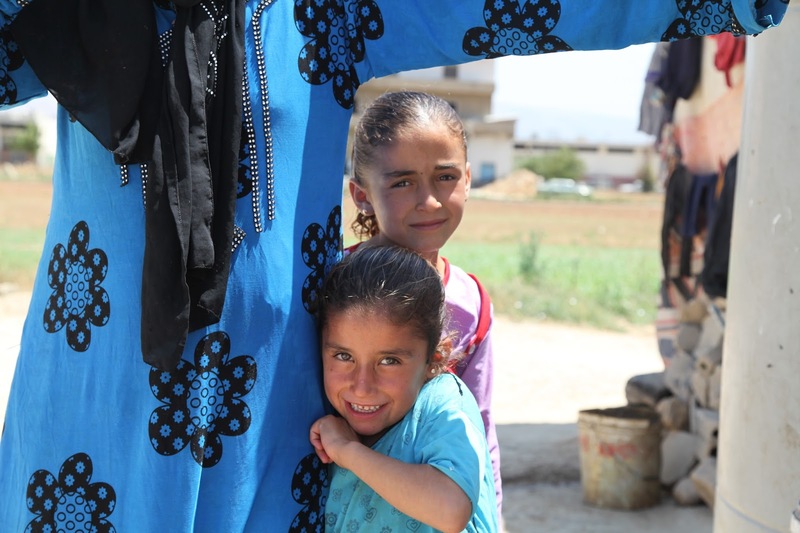 In Lebanon, where more than 1.4 million Syrians have fled to, 89% of Syrian refugee families were food insecure in 2015 (an increase of 22% from 2014). 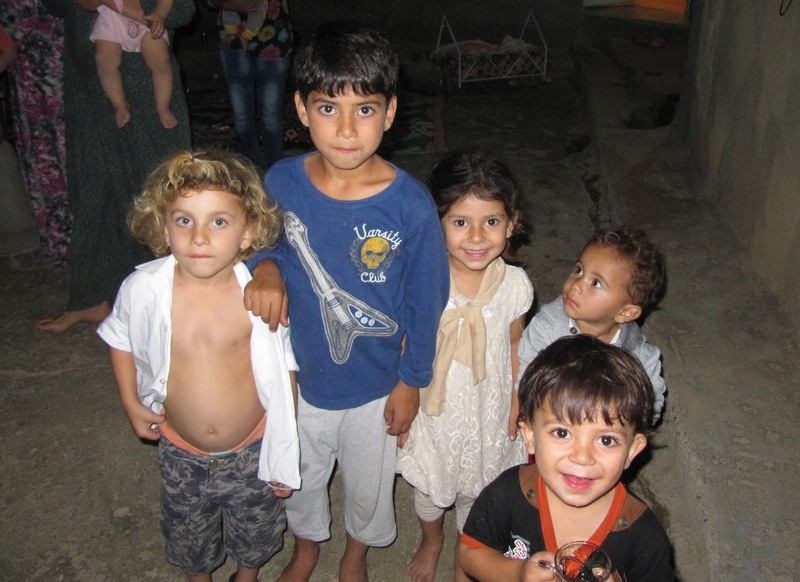 More than 50% of Syrian refugees are children. 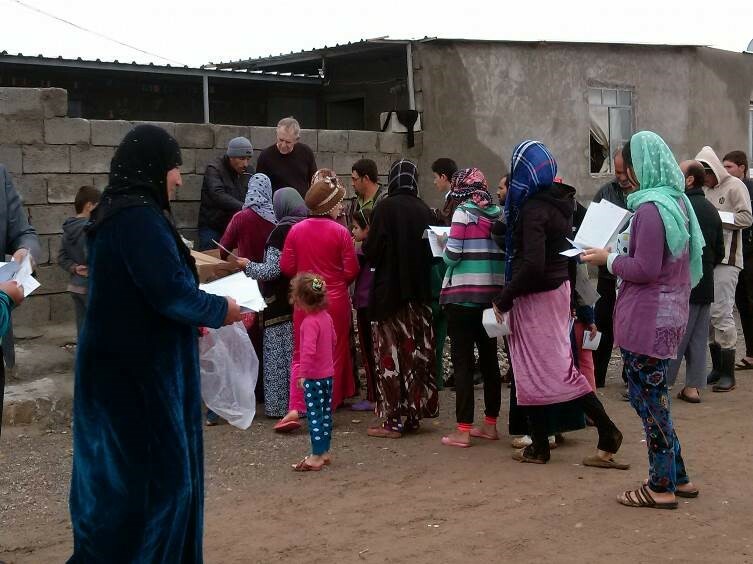 This past October, FH Canada’s shipment of 1 million servings of nutrition-packed dried soup mix arrived in refugee camps and other needy areas in Kurdistan. Hanan*, a Kurdish refugee and mother of six children from northern Syria, is one of thousands benefitting from the dried soup mix. While living in northern Iraq for the past 3 years, Hanan had become used to the daily worry about what and even if her family would eat. CONTAINERS OF DRIED SOUP MIX SENT IN PARTNERSHIP WITH THE FRASER VALLEY GLEANERS AND OTHER VALUED LOCAL PARTNERS. LOCAL ORGANIZATION AID IN THE ORDERLY DISTRIBUTION OF RELIEF SUPPLIES. Families like Hanan’s have been extremely grateful for the recent provision of dried soup mix, sourced from the Fraser Valley Gleaners (FVG) and provided by FH Canada to the Kurdzman Church food distribution program. Two more 40 foot containers of the mix have just been sent. In addition to sending food, FH Canada also successfully shipped 6 months’ worth of vital medicines in March 2015 through its IMED program. 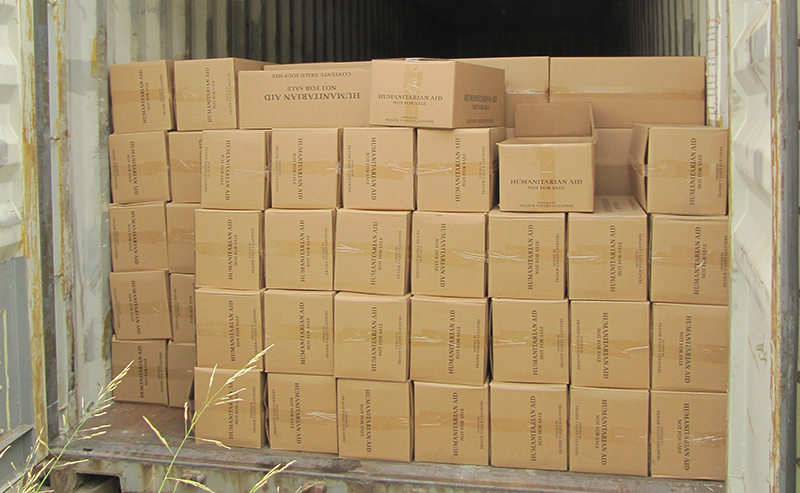 These medicines are destined for clinics servicing as many as 900,000 Syrian refugees in 21 camps located in northern Iraq. Plans are in the works to send another shipment to this area as soon as possible, which is no small task considering the bureaucratic complications and travel limitations involved. FH globally has also been working tirelessly to alleviate the challenges of refugees, working on the ground with organizations like the Lebanese Society for Educational & Social Development (LSESD). While the LSESD provides a wide variety of relief to refugee families through its projects, helping children through educational and trauma support is a high priority. 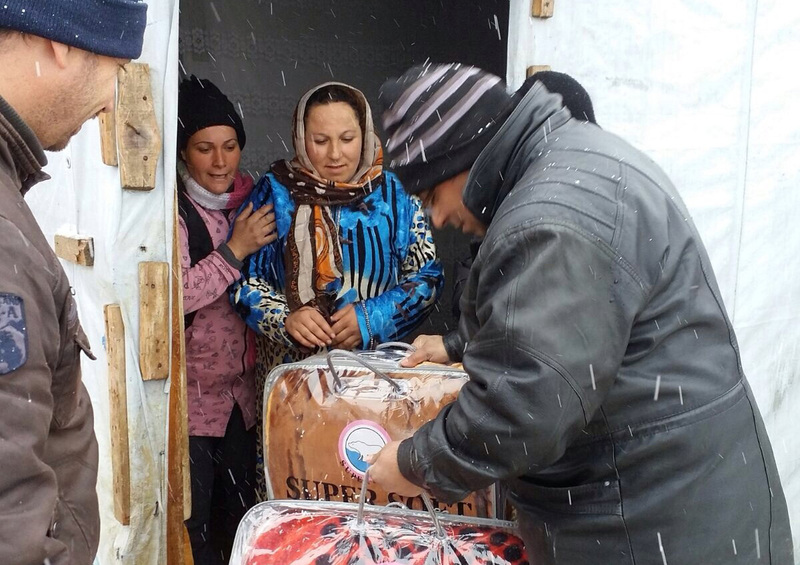 Blankets and stoves were handed out this past January and February when snow began to fall. Clinics for check-up and the distribution of hygiene kits have been established, and child-friendly spaces used for tutoring and play-time continue to be popular gathering points. BLANKETS, HEATERS, AND OTHER SUPPLIES WERE PROVIDED THIS PAST JANUARY/FEBRUARY ESPECIALLY WHEN SNOW BEGAN TO FALL. Together, FH Global and the LSESD have improved the life of Shams*, a 12-year-old girl whose family fled to Lebanon from the city of Homs, Syria, when the bombing there became too intense. The trauma of war and exile took a psychological toll on Shams, and she became increasingly fearful and anxious. Then her mother heard about a local church-based outreach school supported by FH and the LSESD. Shams started attending the school and becoming accustomed to a new class environment and routine, she is happy to be learning again with other children. She is slowly but surely gaining freedom from the oppression of her traumatic past. FH Canada and its global FH family remain committed to doing as much as possible to provide relief for Syrian refugees. As work continues to provide much-needed nutritious food sources and lifesaving medicines, and to partner effectively with other like-minded organizations, it’s comforting to know that each day the lives of people like Hanan and Shams are being changed for the better. A ROOM BRIGHTENED BY SMILES IS THE BEST REWARD. LSESD collaborates with FH globally in ongoing efforts to provide relief to Syrian refugees; they currently run over 20 relief projects in Lebanon, Syria, and Iraq wherein they provide food assistance, access to clean water, health services (including hygiene kits and trauma support), shelter, winterization supplies, and education. This update was originally published in Food for the Hungry (FH) Canada's official seasonal magazine, Hope Notes Issue 19 in May 2016.